In June, the National STEM Learning Centre in York is hosting the annual science, mathematics and computing conferences to support your teaching. Whether you are looking for support with teaching coding, ways of linking science to the rest of the curriculum or simply looking for new inspiration for your lessons, they have something for you. Each day costs £80 and state-funded schools receive a £100 ENTHUSE bursary. “I feel that the conference inspired me to think differently about how we deliver science and has given me some great ideas to put in place.” – Sophie Matthews, Madley Primary School, primary science conference. With sessions for all teachers of computing in primary, secondary and further education, STEM Learning’s annual computing conference is the ideal place to improve your teaching practice. Featuring keynote speaker Tim Gregory (runner-up BBC Astronauts: Do you have what it takes?). 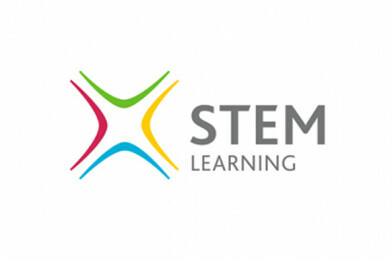 STEM Learning also have a range of exciting workshops for you to choose from so you can tailor the day to meet your needs and interests. This is a day packed full of creative science that will engage and motivate you and your children. For the second year, STEM Learning are partnering with the Yorkshire Riding Maths Hubs to provide a range of exciting workshops for you to choose from. Their keynote speaker, Debbie Morgan will be focussing on teaching for mastery. From a newly qualified teacher to an experienced leader there will be something for everyone to explore. BOOK NOW FOR THE BIG BANG NORTH WEST 2018! Big Bang North West 2017: The Movie! Go Virtual with The Big Bang North West! The Big Bang UK Competition: Finalists & Award Winners!